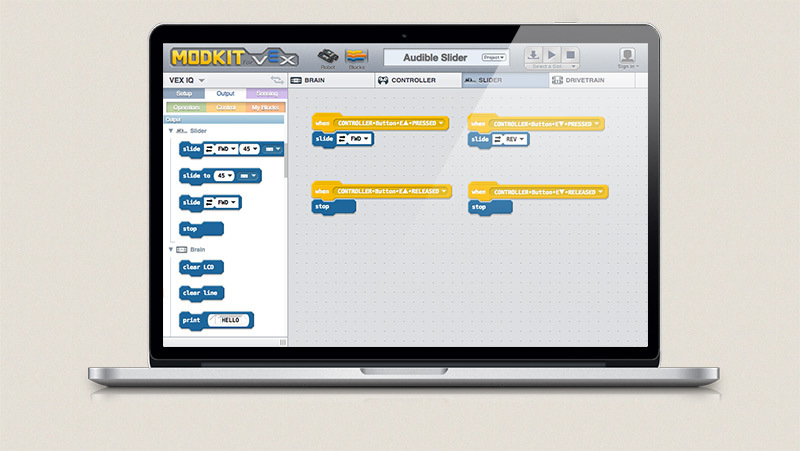 Setting up your hardware is as simple as telling Modkit what you have plugged in. 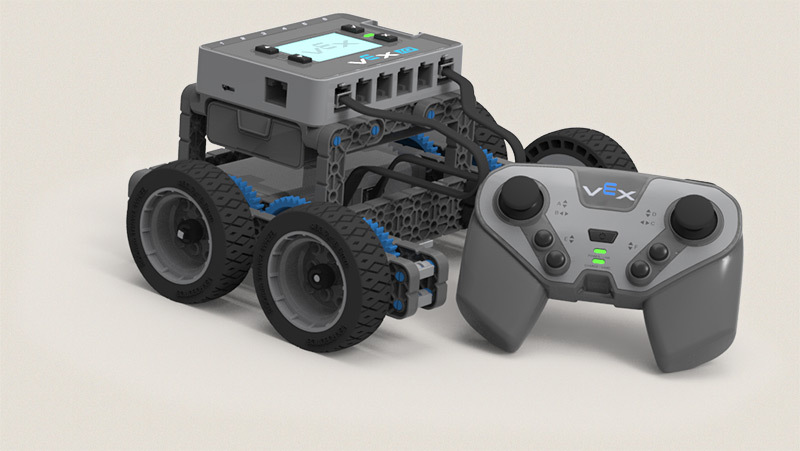 We even have Mechanisms and Drivetrains to make it faster to build complex robotic control programs. 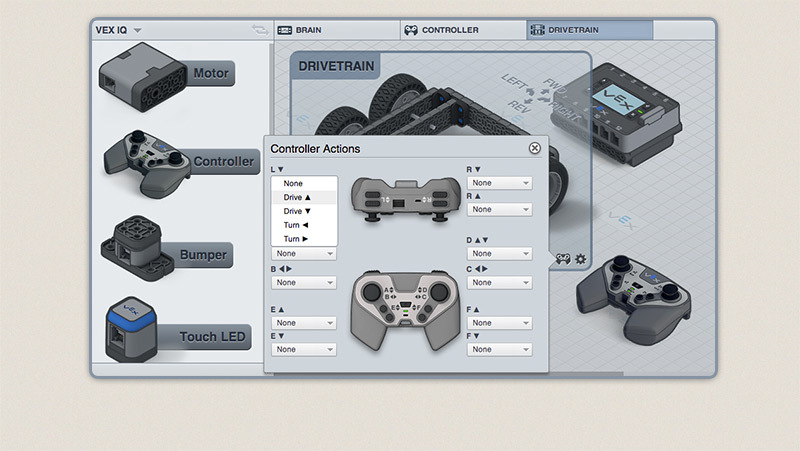 Using a controller in your project can be as simple as connecting it and running built in programs, but you can also use events to trigger any mechanism, component or drivetrain action. 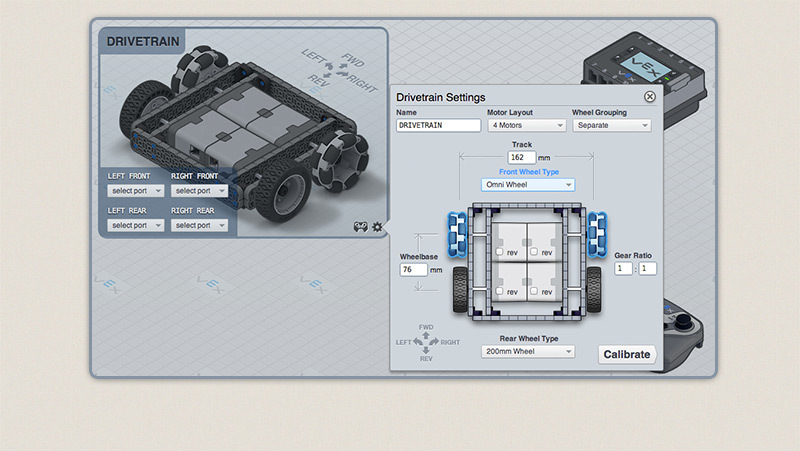 Complex drivetrains can always be programmed manually, and after entering your measurements, advanced programming is available to make your robot accurate with less code. 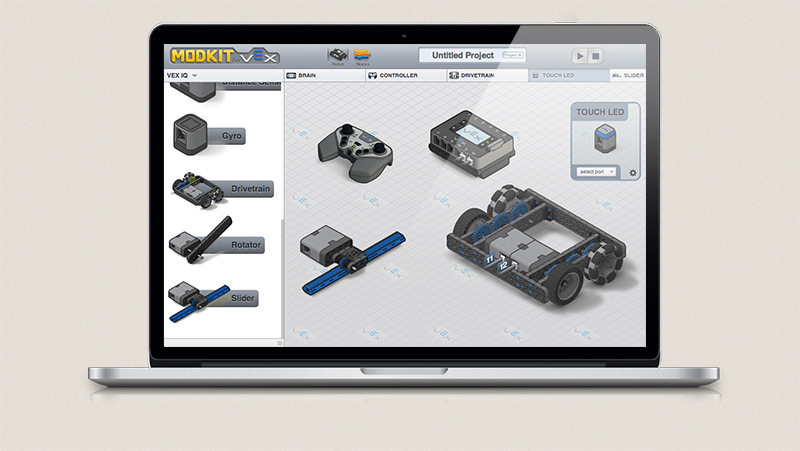 Program your robot with Modkit's event based block programming tools. Mechanisms, Drivetrains and components can broadcast and respond to events independently, making it easier to program complex actions and reactions.